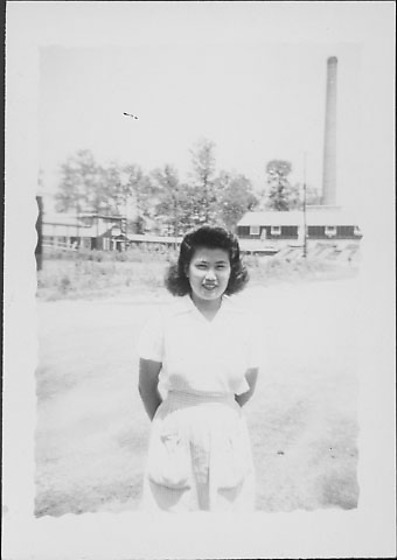 Portrait of a smiling young woman in a candy striper apron standing in open area at Rohwer concentration camp, Rohwer, Arkansas, 1942-1945. She stands in foreground with her hands behind her back as she looks directly at the viewer. Shrubs at midground; building with smokestack at R and long building at L with trees in background. Irregular scalloped border.